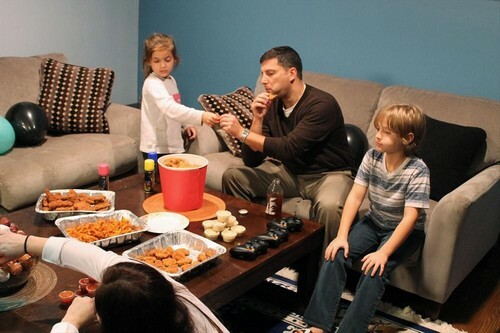 Celebrity Wife Swap returns April 24th, 2013 with a whole new episode. April Markiewicz, a lenient and permissive mom, and Yelena Zusin, a Russian “Tiger Mom,” trade lives for two weeks. The families that swap lives this week are: April Markiewicz lives in Covington, LA with her husband, Mark, and 15-year-old son Alex, who has no respect for authority and is used to a complete lack of structure or discipline at home. Alex’s favorite activity is playing games from his extensive video game library for hours on end, which April and Mark allow. Mark is a stay-at-home dad who is responsible for the cooking, cleaning and management of the home. He’s eccentric and likes to spend his free time restoring old payphones and going over his Disney memorabilia collection. He can also often be seen in the neighborhood wearing only a towel as his clothing of choice. Yelena Zusin is a Russian “Tiger Mom” from Pelham Manor, NY. She and her husband, Oleg, have three children, 9-year-old Aiden and 8-year-old twin girls Elizabeth and Annabelle. Yelena and Oleg feel American parents are too easy on their children, so their children’s days are filled with lots of after-school activities, including figure skating, gymnastics and piano practice. Yelena and Oleg believe their children should be the best in everything they do and never quit. When April meets her new family, she’s immediately overwhelmed by their busy schedule and rigorous after-school activities. When it’s time for rules to change, April ditches schedules in favor of free time, and decides it’s time for the Zusin children to host a house party full of friends, junk food, silly string and goofy antics. Back in Covington, Yelena is shocked by Alex’s lack of discipline and disrespectful attitude. She finds no structure or direction in the Markiewicz home, and thinks that April and Mark are lazy parents. Determined to get Alex out of his room and motivated to try new things, Yelena has him lock up all of his video games and replaces them with new, physical activities. The episode airs THURSDAY, APRIL 24 (8:00-9:00 p.m., ET) on ABC and you don’t want to miss it!